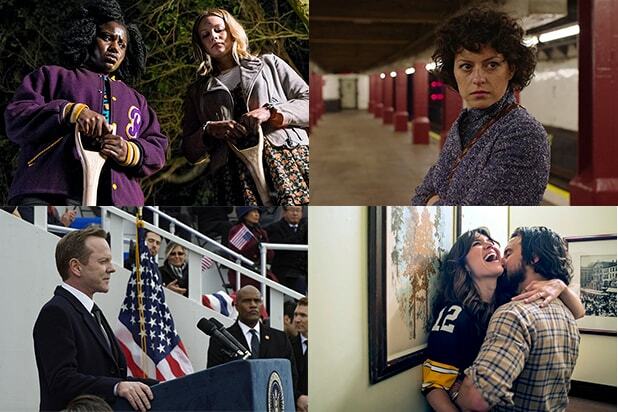 If you missed any of these one-season wonders in the craziness of 2016, this weekend is the perfect time to catch up. 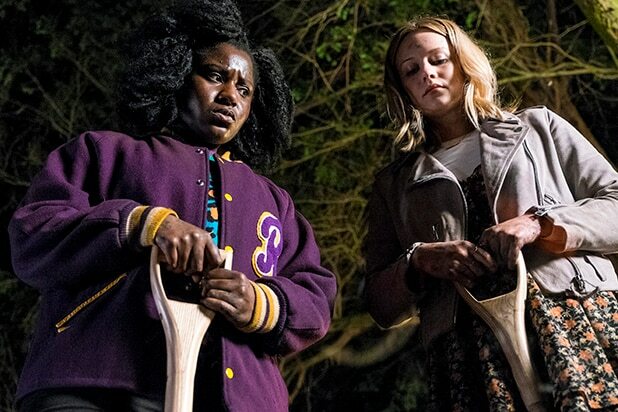 "Crazyhead" (Season 1 on Netflix) This British comedy-horror series about a bowling alley employee who moonlights as a demon hunter hails from "Misfits" creator Howard Overman. "The OA" (Season 1 on Netflix) The ending to Brit Marling and Zal Batmanglij's enigmatic sci-fi series still has viewers talking weeks after the show was released, proving that Netflix's season-dump release strategy can still make for water-cooler television. "Search Party" (Season 1 on TBS.com) Michael Showalter's off-kilter new TBS comedy starring "Arrested Development" alum Alia Shawkat was released in late 2016 to critical acclaim, winding up on more than a few critics' end-of-year lists. "The Crown" (Season 1 on Netflix) Netflix's sprawling, beautiful period drama starring Claire Foy as Queen Elizabeth II is one of the streaming platform's most ambitious -- and expensive -- series to date. "Designated Survivor" (Season 1 on Hulu) Kiefer Sutherland's big return to TV proved to be a hit for ABC when this drama about a housing secretary thrust into the presidency won praise from critics and fans alike. "This Is Us" (Season 1 on Hulu) Easily one of the most popular new broadcast dramas, Dan Fogelman's new NBC drama starring Mandy Moore and Milo Ventimiglia won over viewers with an abundance of heart and humor. "Insecure" (Season 1 on HBO) Highly personal half-hour series took over TV in 2016, and Issa Rae's "Insecure" proved to be a worthy addition to the list with it's easy confidence and worn-in sense of humor. "Westworld" (Season 1 on HBO) The biggest questions for HBO throughout 2016 was whether Jonathan Nolan and Lisa Joy's new sci-fi drama could live up to the behemoth popularity of "Game of Thrones." It hasn't quite reached that level yet, but few other shows on television this year got people talking like "Westworld" did. "Chasing Cameron" (Season 1 on Netflix) Twitter killed Vine back in October, but the six-second video platform legacy lies in a new crop of global superstars like Cameron Dallas, whose life is chronicled in a new Netflix reality series. "Fleabag" (Season 1 on Amazon) Phoebe Waller-Bridge's fiercely funny, fourth-wall breaking Amazon series follows a modern woman living in London as she deals with the loss of her best friend, a breakup, and financial troubles. "White Rabbit Project" (Season 1 on Netflix) Grant Imahara, Tory Belleci and Kari Byron, the build team from Discovery's beloved "Mythbusters," now host their own Netflix series in which they investigate weird and wonderful events from pop culture, science and history.